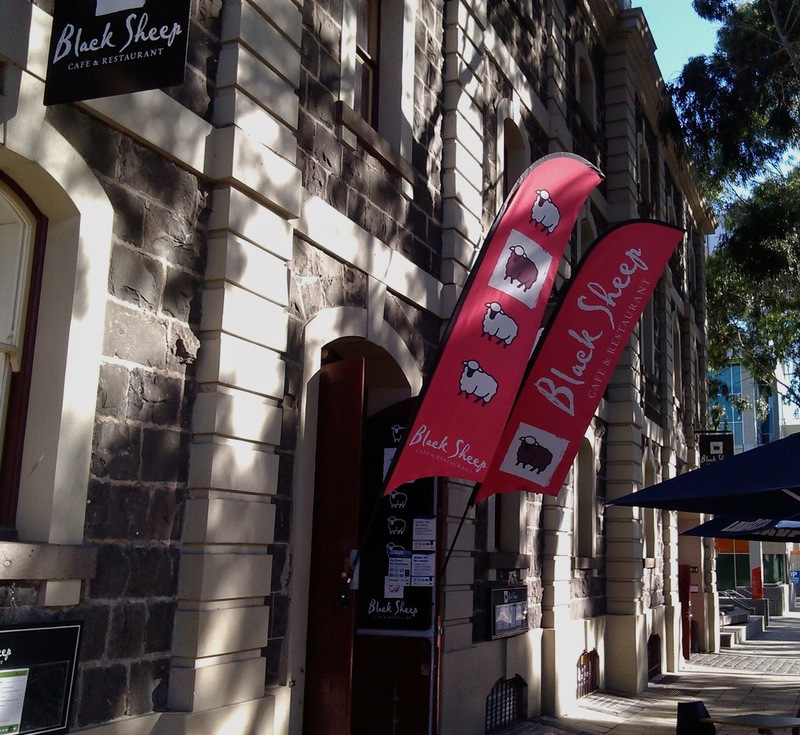 We'd thought about trying Black Sheep before, so decided to have lunch there on a recent visit to Geelong. 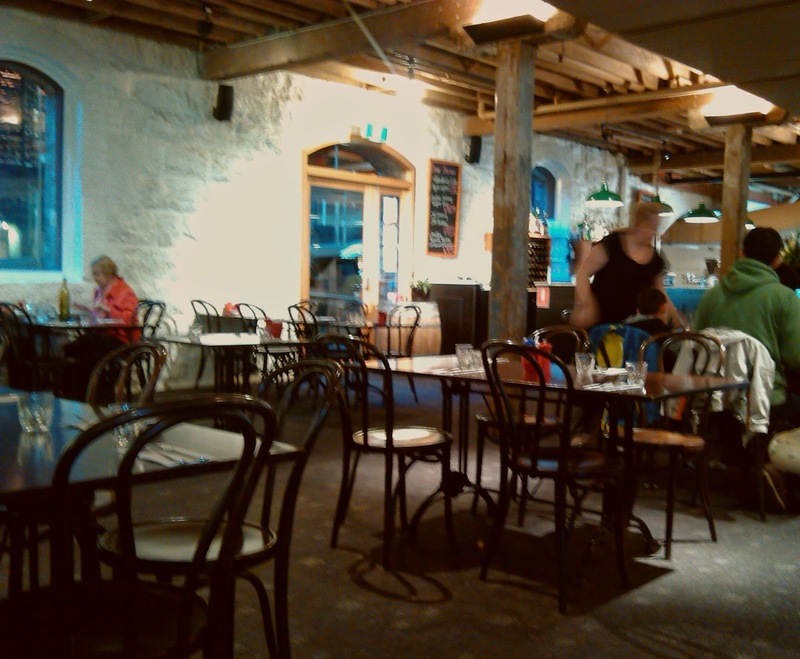 It's situated in the National Wool Museum, not the place I'd normally think about to eat at! The building on the corner of Moorabool and Brougham Streets is grand and historic. The restaurant isn't far inside and is east to find, it wasn't too busy when we visited, and we were offered a couple of tables. 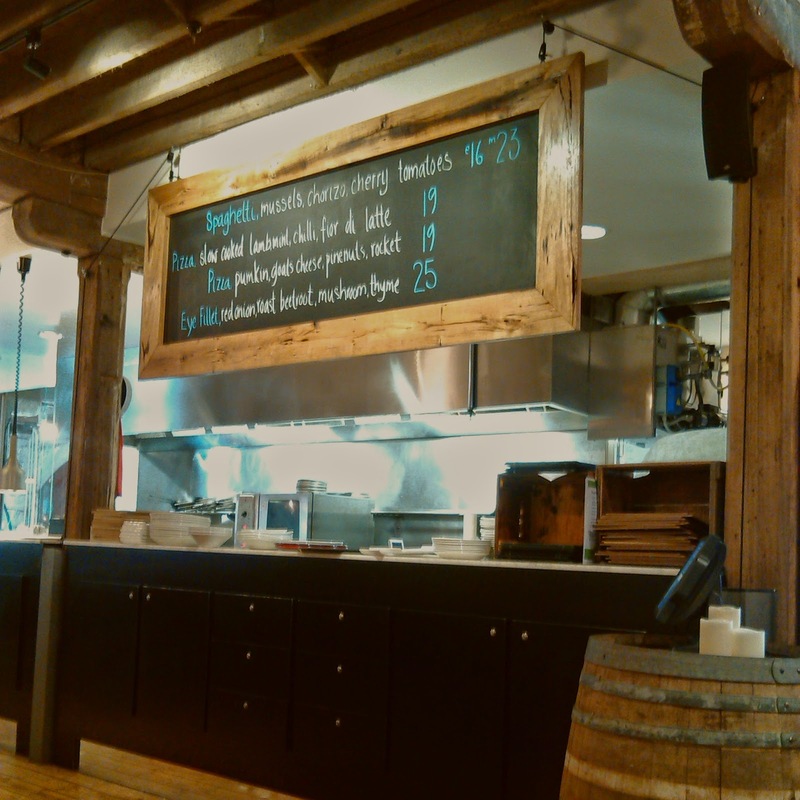 The old stone work and timber beams maintain the atmosphere of an older structure. There was just the odd reminder that you were in a museum, but it certainly wasn't too institutional. The kitchen is open with a few specials and pizzas available on a chalkboard, the rest of the menu continued the Italian theme. 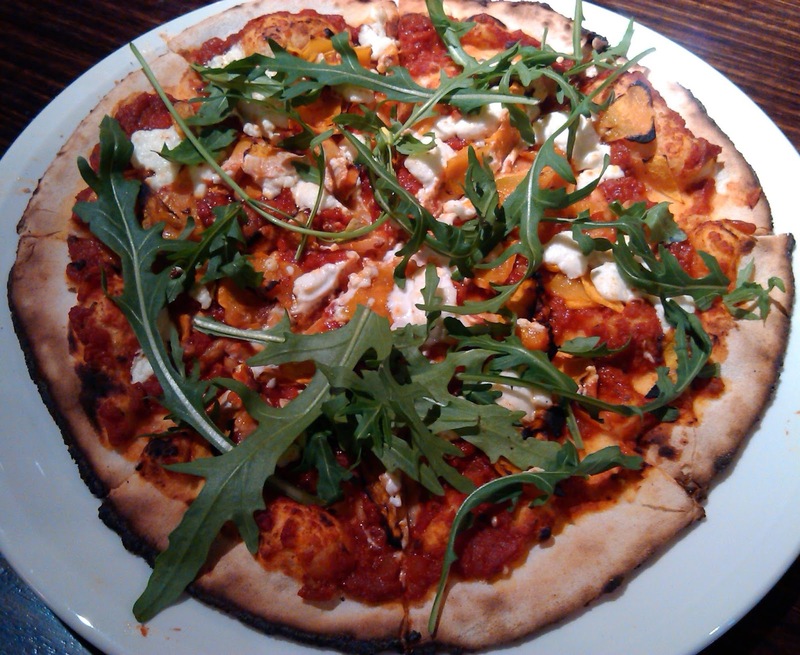 I went for the pumpkin, goats cheese and rocket pizza, which came on a nice crispy base. The toppings were good, especially the goats cheese, but the tomato sauce was just a bit too sweet. 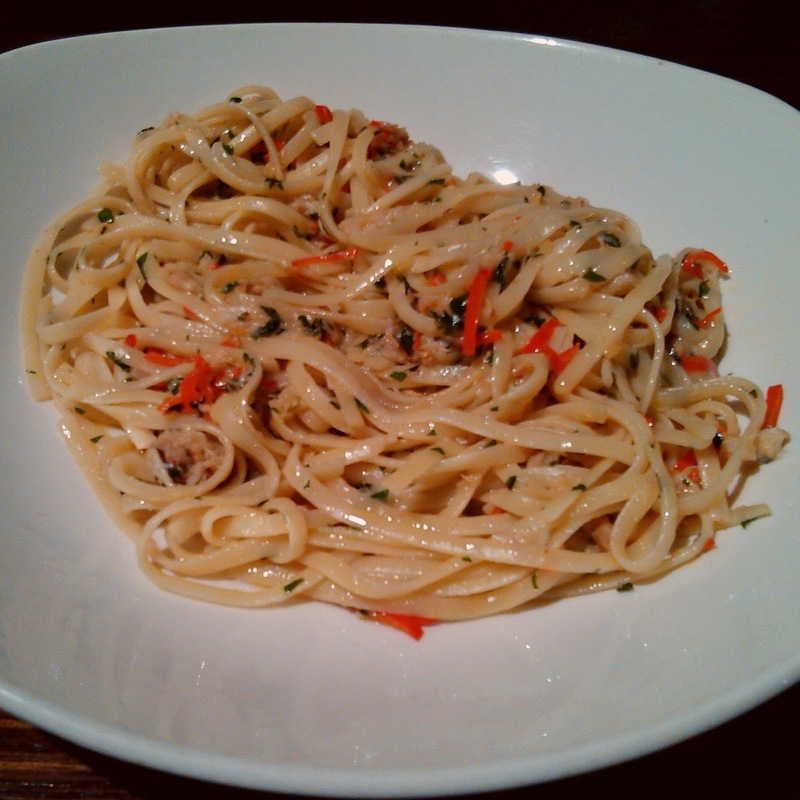 The crab linguine with chilli, lemon, garlic and parsley was a winner, with a decent serve even on the entree sized dish. The service varied in attentiveness and at times we had trouble attracting the attention of the staff, who didn't seem too busy. The bill came to $44 with a glass of wine. We'd certainly think about visiting again next time we are in town.